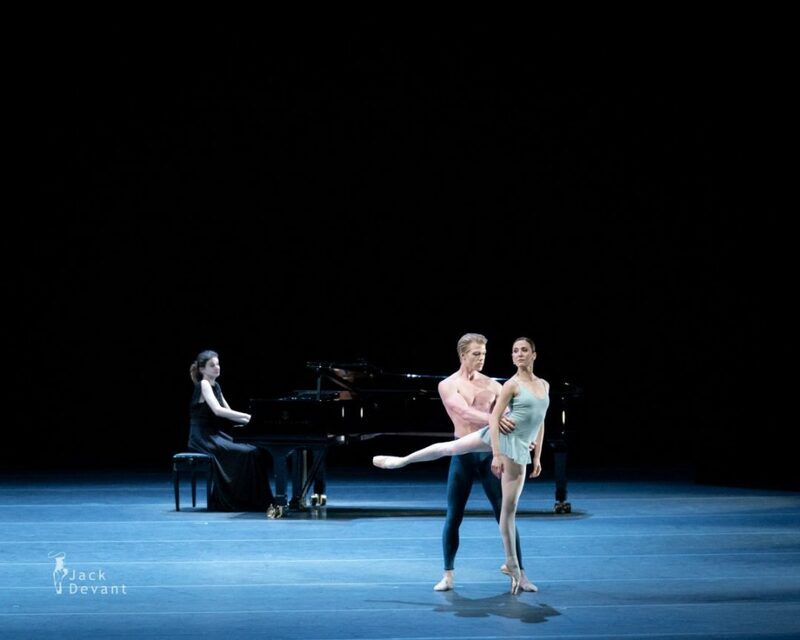 Ludmila Pagliero (Opera National de Paris) and Marijn Rademaker (Dutch National Ballet) in Trois Gnossiennes, to music by Erik Satie, choreography by Hans van Manen, piano Valeria Kachurovskaya. Benois de la Danse 2018, World Ballet Stars and Nominees to the Prize concert, shot on 5.6.2018 in the Bolshoi Theatre, Moscow. Ludmila Pagliero (born 1983, Buenos Aires, Argentina) is currently an étoile (principal) dancer of the Paris Opera Ballet. She joined the French company in 2003. She was trained at Instituto Superior de Arte of the Teatro Colón of Buenos Aires. In March 2012, the Paris Opera faced a serious problem. Dorothée Gilbert was cast in the role of Gamzatti in La Bayadère. She announced that she was injured. Those who would normally have stood in for her were also found to be indisposed or injured. On top of everything else, the ballet was to be relayed to cinemas across Europe. Pagliero had already performed the role two years before. But she had not rehearsed since. With only a few hours to go, Laurent Hilaire asked Pagliero if she could take it on. After a quick rehearsal with Josua Hoffalt and Aurélie Dupont, Ludmila accepted the challenge. 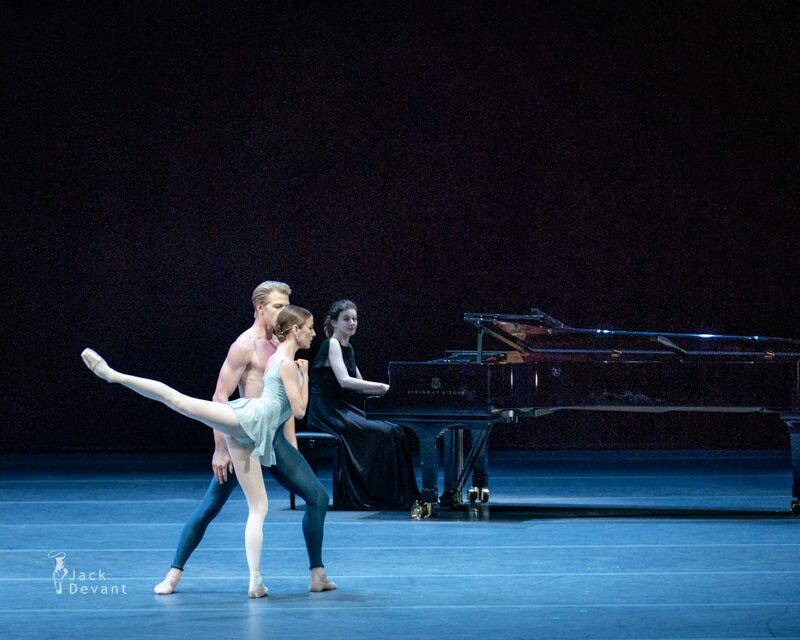 At the end of the performance, before the curtain calls, Brigitte Lefèvre, at the time artistic director of the ballet, joined the dancers on stage to announce that she was honoured to award Pagliero the title of Etoile for “the talent and artistic courage she had shown”. Pagliero is the first non-European to receive the title of Etoile and one of a very few dancers to have been admitted to the Paris troupe without training at the Paris Opera Ballet School. Marijn Rademaker is currently Principal with HET Nationale Ballet. As a young boy, Marijn Rademaker (1981, The Netherlands) was talented at sports, eventually his parents enrolled him in ballet lessons. Following his training at the National Ballet Academy in Amsterdam and ArtEZ Institute of the Arts in Arnhem, he graduated from the dance course of the Royal Conservatoire in The Hague in 2000. On graduating, he joined Stuttgarter Ballett, where he was promoted to principal in 2006 after his highly successful debut as Armand in The Lady of the Camellias. In 2011, Marijn made his debut as a guest artist with Dutch National Ballet as Prince Florimund in The Sleeping Beauty. Since January 2015 he is principal at Dutch National Ballet. He also works with the Dutch National Ballet’s junior company and main company as a ballet master. The Gnossiennes (French pronunciation: ​[ɡnosjεn]) are several piano compositions written by the French composer Erik Satie in the late 19th century. The works are for the most part in free time (lacking time signatures or bar divisions) and highly experimental with form, rhythm and chordal structure. The form as well as the term was invented by Satie.